Located at the gateway to the Saguenay-Lac-Saint-Jean region, the Petit-Saguenay tourist information office has information on all the cultural and tourist attractions, accommodations and restaurants our beautiful region has to offer. 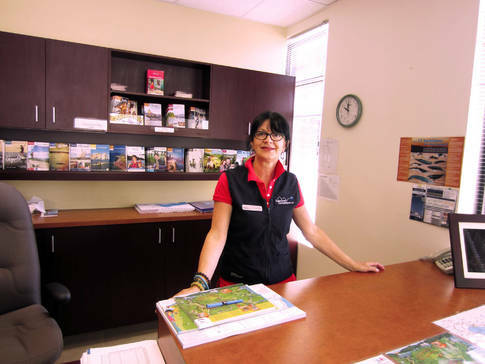 At the heart of the town of Petit-Saguenay, a stone's throw from many services such as a Caisse Desjardins branch, service stations, convenience stores, restaurants and shops that sell handcrafted goods, the office is the perfect starting point for any trip to Saguenay-Lac-Saint-Jean. You will receive a courteous welcome from friendly, knowledgeable staff, who uphold the reputation of the locals.